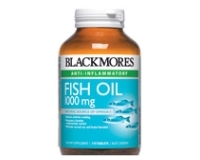 Blackmores Fish Oil 1000 is a source of omega-3 fatty acids, which can provide an anti-inflammatory action within the body. It can help to reduce inflammation and joint swelling associated with arthritis. Fish oil helps to maintain and support a healthy heart and cardiovascular system. It can assist in the maintenance of normal eye and brain function, as well as decreasing fat (triglycerides) in the blood in healthy people. - Natural source of omega-3. - Helps to reduce inflammation and joint swelling associated with arthritis. 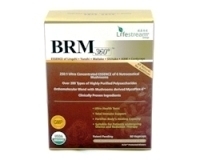 - Helps to support heart and cardiovascular health. - Helps to assist in the maintenance of normal eye and brain function. - Helps to decrease triglycerides (fat) in the blood of healthy people. Adults - Take up to 4 capsules 3 times a day with meals, or as professionally prescribed. Children under 12 years - Only as professionally prescribed. Adults - Take 3 capsules a day with a meal, or as professionally prescribed. Children 6-12 years - Take 1 to 2 capsules a day (pierce and squeeze into milk, juice or cereal), or as professionally prescribed. No added yeast, gluten, wheat, milk derivatives, preservatives, artificial colours, flavours and sweeteners.